This is the third review of sausages from L’Authentique. This French inspired company makes great sausages. They are chunky and wholesome eating and the flavours are well melded to create morsels of deliciousness. This time the sausage sampled was Traditional Toulouse. The Traditional Toulouse is made from free-farmed New Zealand pork, along with free-farmed bacon. There are also elements of garlic and parsley. I decided to test my leg in the hills as part of the rehabilitation process. The forecast was not great, so I decided on a quick jaunt to Field Hut in the Tararuas. Temperatures were between minus thirteen and minus fifteen at Kime so I expected it to be a bit chilly on the way to Field Hut. 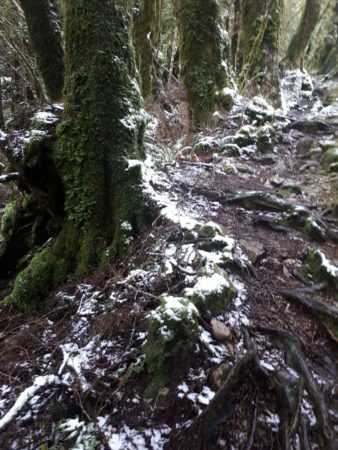 From Otaki Forks there was a light steady drizzle as I climbed the ridge. When I got closer to Field Hut this turned to gentle wafting snow, There was no wind so the snowflakes fluttered on their way down. 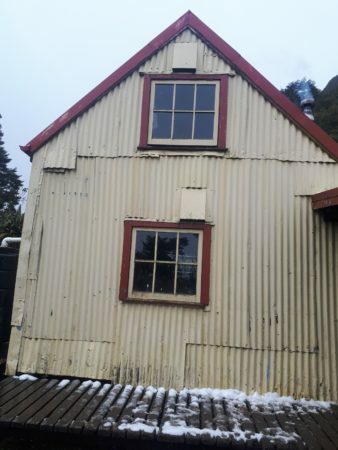 When I got to Field Hut there was an English backpacker who was trying to generate heat from the log burner, with limited success. He was cutting a log with a bow saw that was in the hut, He commented that he has used butter knives that were sharper than that saw. While in the hut I ate the Traditional Toulouse sausage which is a meat sausage, The pork and bacon complement each other and the bacon adds elements of smoke and sweetness to the meat. Meat is the dominant flavour, the garlic and parsley are background flavours on the palate. 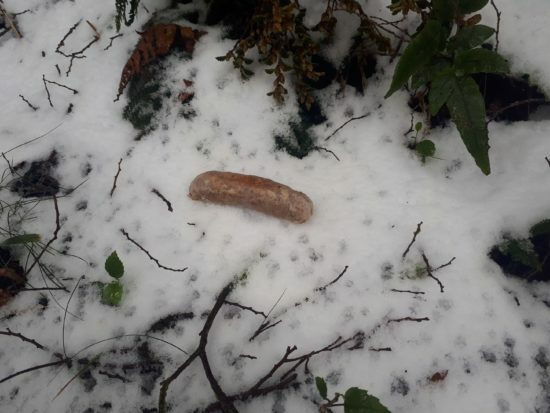 Although the sausage was cold and had been on the snow, the enjoyment was immense. As I headed back to Otaki Forks I mused about the range of L’Authentique sausages. Whatever one you select you will be impressed by the flavour. It has been a couple of weeks since I wrote this post, and since then L’Authentique has won two golds at the Devro Great New Zealand Sausage Competition. Congratulations to the team at L’Authentique on winning gold in the Pork category for their Pure Pork Sausage, along with a matching gold in the Traditional category for the Pork and Fennel Sausage.